Minister Bennett, representatives of New Right, examine protocols of the double envelopes, find only one invalid ballot. 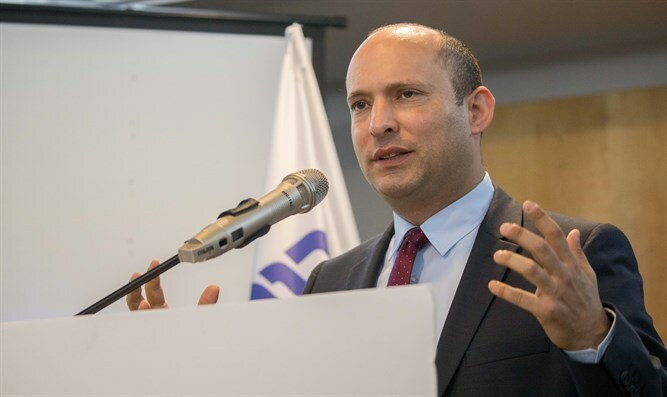 Bennett was allowed to review the materials after the chairman of the Central Elections Committee, Judge Hanan Melcer, authorized him to do so. Melcer approved the New Right’s request to conduct a recount of votes in 300 ballot boxes which were used for special votes – the double-enveloped ballots cast by Israeli citizens unable to vote at the ballot nearest to their home. These voters include voters who were hospitalized during the election, soldiers stationed at bases across the country, prisoners being held in correctional facilities, foreign service officials working overseas, and disabled voters unable to reach the polls. “The Committee views with great severity the dissemination of the misrepresentation by the New Right that there were irregularities in the counting of special votes and the failure to recognize the Committee's attempts to provide them with the necessary information."